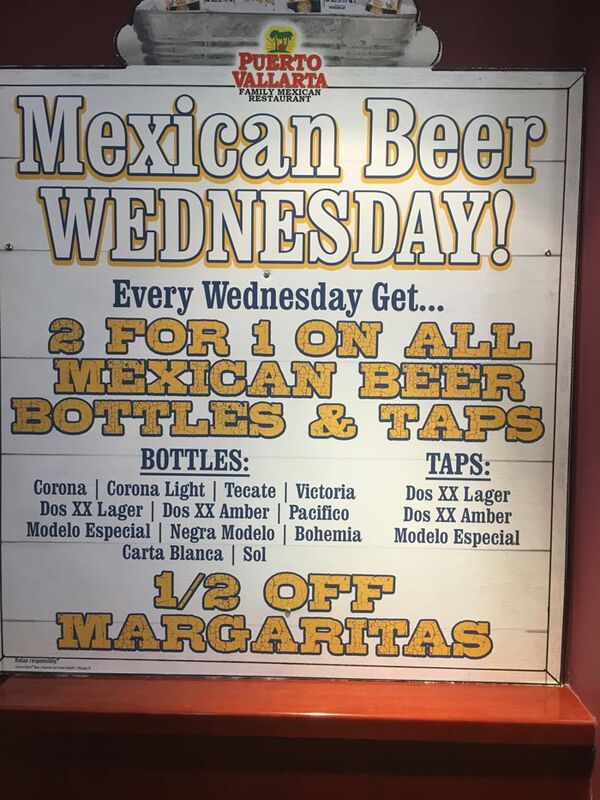 2 for 1 on all Mexican Beer Bottles and Taps. © 2019 Puerto Vallarta. Website by Arvig® Media.